I joined John again this Sunday to talk about St. Michael’s parish in the West Hereford Team. We took time to discuss what we did at our Harvest Festival last year (asking the congregation to provide food for the refugees in Calais), what we have planned this year (no spoilers), the homeless and vulnerable of Hereford and A Vicar’s Live Live on September 8th. 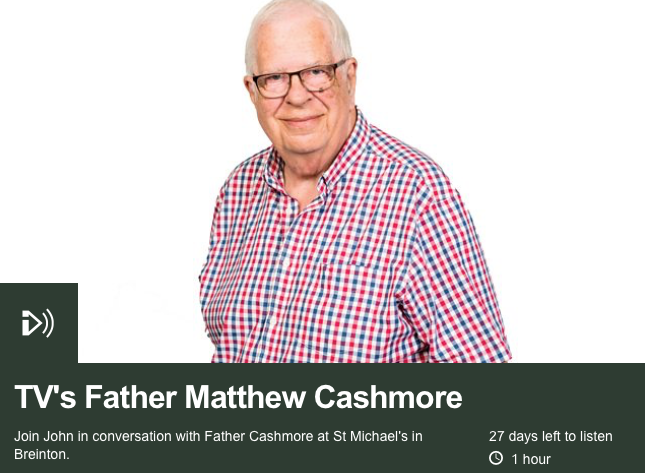 You can use the media player below to listen to the interview, or listen to the whole show via the BBC’s iPlayer. This week sees me quoted in an article in Church Times “The Generation Game“. The article talks through some research from the US where there is a feeling that a war is brewing between millennials and the boomers within the Episcopal Church. It’s an interesting article that debunks a lot of what Dr Matis says with experience from across the Church of England. I talk briefly within the article about finding our Training Incumbents to be on fine form – but that we do have a cultural gap with those who were trained for a different mission field. That’s not to denigrate the fine work that has gone on in that mission field but rather to accept that millennials interact with faith in a different way and need different ways of engaging with us. I point out the fine work Priests of previous generations have carried out (and that we should be hugely grateful for) but call out a growing sense amongst my age group (and younger) that perhaps some of the reforms of the 60s & 70s threw the baby out with the bath water and that we want to explore a deeper sense of orthodoxy. I point out that this will obviously be difficult for those who fought for those reforms. Interestingly this article – in an industry newspaper – has garnered significantly more reaction from people in the Church than my recent comments in The Guardian and on BBC Radio 4 – which rather underlines my concern that we may be a little inward focused. It was a delight to be interviewed again for John Helling’s show on BBC Hereford and Worcester and BBC Shropshire this week. This time we visited another church in the team – St. Nicholas. We talked about its history and about the brilliant write up on the St. Nicholas website of that history. We talked about my ordination to the Priesthood and about celebrating my First Mass – and why it is I style myself ‘Father’ and call Communion – Mass. As always with John it was a relaxed and I hope informative interview over the hour of his show – I’ve clipped up the salient parts which amount to about 15 minutes of conversation. I hope you enjoy it and as ever – any questions, leave a comment or get in touch. It’s been a busy old week. As ever at this time of year the now annual debate about the style of ordination photographs got raging on Twitter. My contribution to that was pretty limited – a reply to a friend (see below) which was then picked up by the Guardian. They asked for a quick interview and what I tried to convey was that the annual ‘jumping’ or set up photographs (see dabbers from Leicester) simply fail to communicate the depth of joy and seriousness of what has just happened. This is no reflection on those in the photographs (let’s not forget my own ‘jump for joy’ caption competition moment in Church Times a couple of years ago) but rather a criticism of the people putting the photographs together – forcing in some cases – people to engage in a set-up and rather forced ‘joyful’ photo in an attempt to grab the front page of the Church Times. The issue is not one of taste, but of the discomfort I feel at enforced fun – and the thing is – that comes across in the photographs themselves. The second point is that they’re just so creatively dull. They’re as expected as the shot of the beautiful blonde school girl opening her A-Level results and make me groan through sheer lack of creativity. What I did find interesting is that the Church Times last year published a wonderful picture of a father throwing his son(?) into the air – a moment of sheer joy beautifully captured – it was different and really did communicate the deep sense of joy. 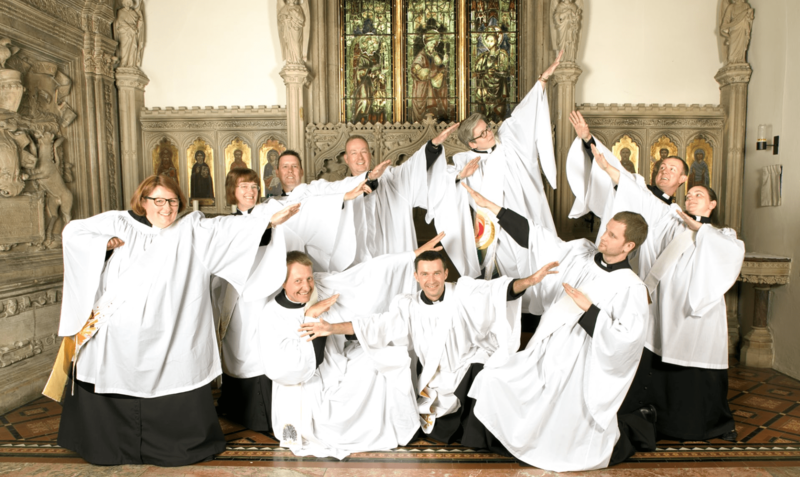 On their website they decided to lead with an image of the Hereford Deacon Ordinations – a formal photo – but taken by a professional photographer that had stunning colour and depth and leap from the page. Yes, call my grumpy. Fair enough. But think on this… when was the last time a Priest was in the Guardian (front page) talking about Ordination and the wonder, splendour and honour of that call? 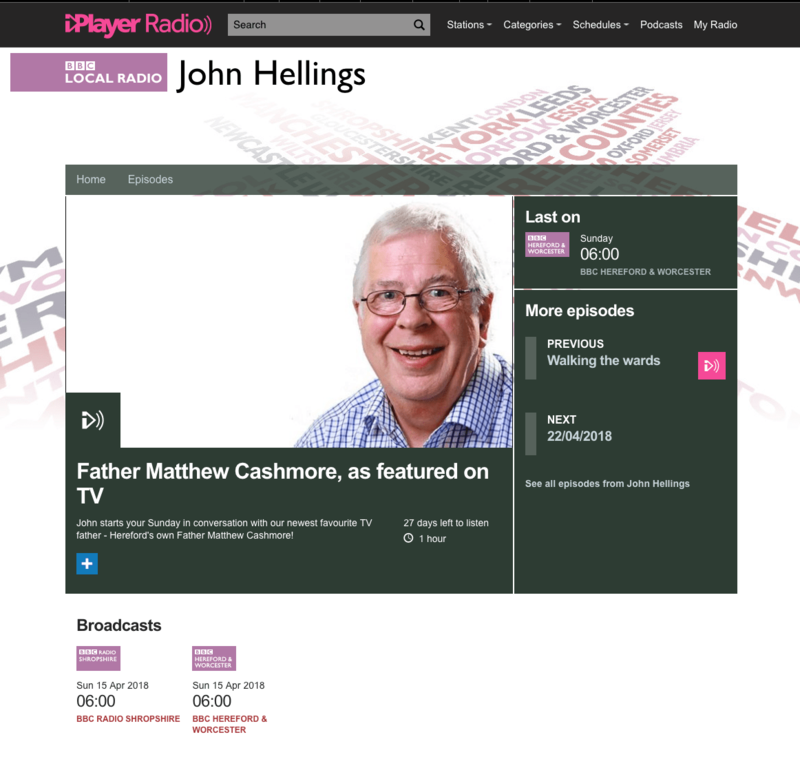 When was the last time a Priest was on BBC Radio 4 PM talking about Ordinations and the joy of being called by God? I mean no offence to anyone, but come on people, we’re more creative than jumping in front of the cathedral. P.S. [10th July] The Photos in this years Church Times are brilliant – a fantastic selection of genuinely beautiful moments of joy and set up shots that display a breadth of character, love, joy and seriousness. John Hellings from BBC Hereford & Worcester asked to speak to me last week at All Saints in Hereford city centre. It was a good opportunity to talk about the TV show and what people thought of it – how All Saints is a thriving, living and loud church and why I call myself Father.